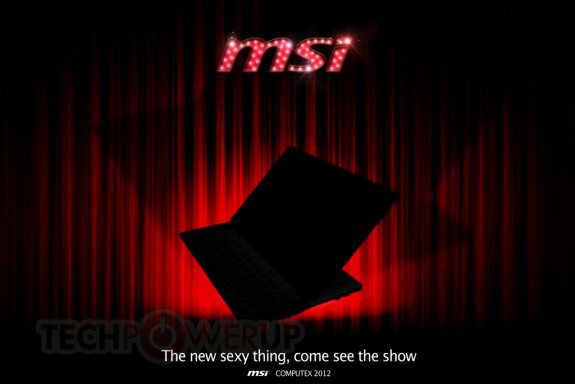 MSI announced it will reveal a Letexo-like sliding-ultrabook at Computex. This sort of device attempts to bridge the gap between high-performance Windows 8 tablets and ultrabooks. MSI is working on one such device, which lays to rest the looming question of whether the company plans to do Ultrabook PCs. The unnamed Letexo by MSI was unveiled as a teaser picture, earlier today. The device is a fully functional Windows 8 tablet, driven by Intel architecture, a comfortable and responsive chiclet keyboard slides out, when you have a lot of typing to do. We expect to see this device at Computex.